A superb modern 3 bedroom bungalow situated on the Wild Atlantic Way coastal route with stunning ocean views from the lounge and patio areas. 5 min drive from the charming historical town of Kinsale and a 40 min drive to Cork Airport/Cork City. Local activities available such as golf at the Old Head Club, Horseriding, fishing, Kinsale Harbour cruises, Charles Fort, James Fort, lovely local costal walks. You’ll be spoilt for choice with a fantastic range of restaurants serving breakfast, brunch, lunch, afternoon teas & cake and dinner all to be found in the town with many serving local fresh produce and seafood. Just across the bridge on your way Into Kinsale town there is a yellow takeaway pizza truck, Toto's pizza which comes highly recommended. The nearest pub/restaurant only a 5 min drive away situated at the 'Dock'. The house is comfortably furnished with a dining area proving seating for 8 guests. Dining furniture originally bought over from Harrods in the UK. 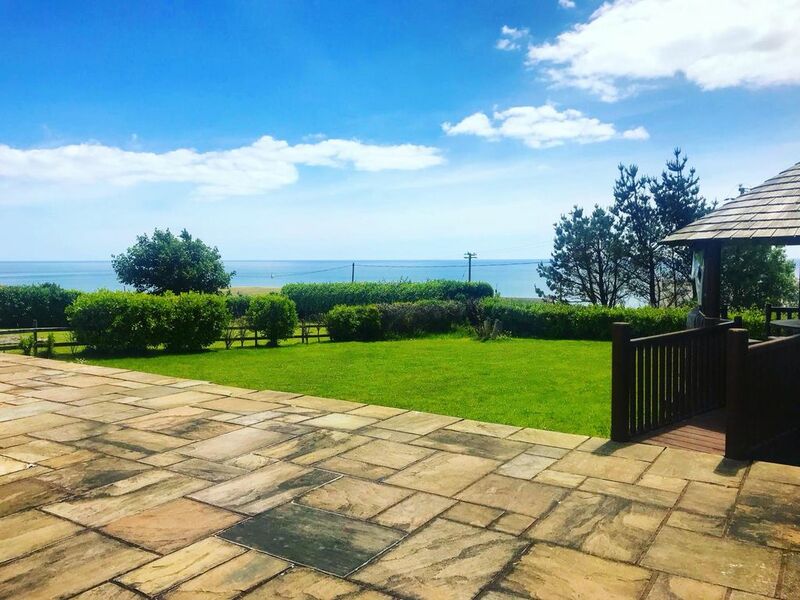 Outdoor covered & heated eating area (gazebo style) provided in the rear garden with stunning views of the Atlantic while you enjoy your meals outside with the added comfort of heat for cooler evenings. A high chair and travel,p cot is provided for those staying with young children. No dishwasher tablets are provided. Fantastic house, great location. Perfect for an active family visiting Kinsale and it's environs.